Want to see all the technologies used by wunderlist.com? Wunderlist is a cloud-based task management application. It allows users to manage their tasks from a smartphone, tablet, computer and smartwatch. 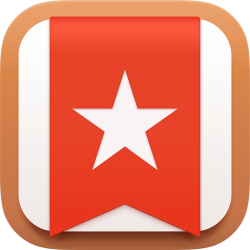 Wunderlist is free; additional collaboration features are available in a paid version known as Wunderlist Pro (released April 2013). Wunderlist was created in 2011 by Berlin-based startup 6Wunderkinder. The company was acquired by Microsoft in June 2015, at which time the app had over 13 million users. For a quick look at additional technographic info on wunderlist.com or any domain on the web, download our Chrome Extension. Check out our help article to see how Datanyze Insider can help you.